For the 17th and last time an Intercontinental Cup will start on Saturday in Taichung, Taiwan. The event is going to be eliminated during the upcoming reformations of the International Baseball Calendar. Ten teams will participate from October 23 to 31. Europe will be represented by European Champion Italy, the Netherlands and the Czech Republic. Also on hand are going to be heavy favorite Cuba, Nicaragua, Japan, Thailand, South Korea, host Taiwan and Hong Kong. The last time an Intercontinental Cup was played was in 2006, when Cuba beat the Dutch team 6-3 in the finals. 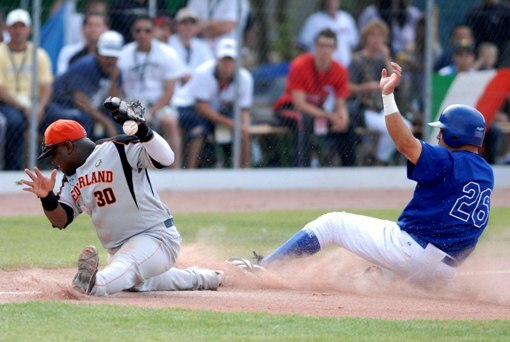 European Baseball will be on focus on the first day of the 2010 competition, as Italy takes on the Netherlands in their first rematch following the European Championship Final in August. Earlier on the day, the Czech Team has to play against Cuba. Reinforced by a few minor league players, the European squads mostly rely on the same players they also had on the rosters during the Euros this summer. Italy and the Netherlands could be able to pull off a few surprises and play a significant role in pursuit of the title. The Czech team is an underdog in the tourney, but should be able to finish at least in fourth in Group A.